Tarlan saw Gulph fall from a burning tower during a final confrontation with their undead father. There’s no way Gulph could have survived…even with his special abilities. As for his sister, Elodie, Tarlan’s convinced that she’s a traitor who betrayed the rebellion and her family just so she could have the throne to herself. With nothing left to believe in, Tarlan’s prepared to abandon both the cause and his pack of wild animals, and head north.
" . . . this novel reads like Game of Thrones on a mellow day—definitely aimed at the older end of the middle-grade audience." "Rinehart presents a compelling variant on the archetypal tale of the evil king and the avenging heir. . . . The epic conclusion will leave readers eager to get their hands on the planned sequel." 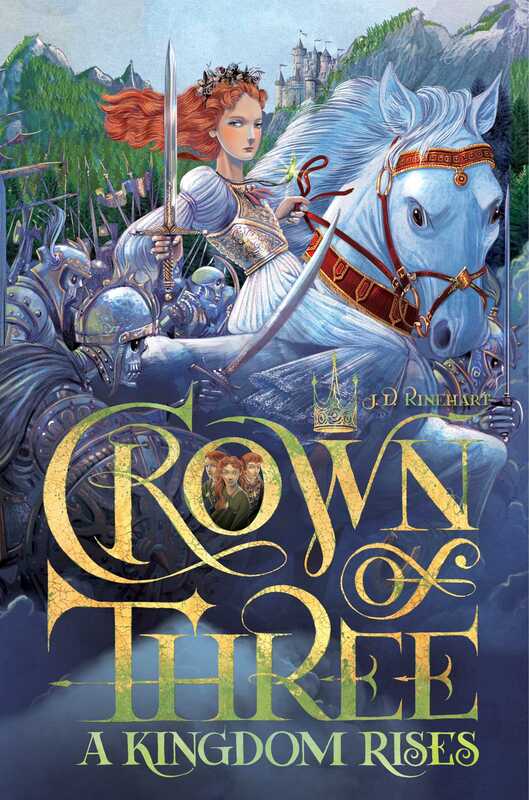 "In this action-packed debut, triplets born to an evil king are spirited away at birth so they will survive tofulfill the prophesy that they will overthrow their father and rule the kingdom. . . the ending races to a rousing finish in preparation for the sequel."